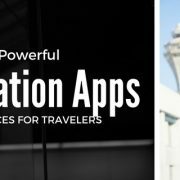 As the 2012 Summer Olympics kick off and London prepares for the onslaught of foreign visitors, a new iPhone app is being released to make it easier for all of those people to communicate. The app, called VoiceTra4U-M, works for both telephone conversations and face-to-face conversations in 13 different languages, including American English, Hindi, Indonesian, Japanese, Korean, Mandarin, Malay and Vietnamese. 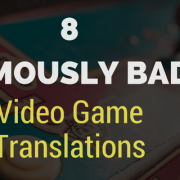 Text-only translation is available for another 10. The app is the brainchild of the Universal Speech Translation Advanced Research Consortium, otherwise known as U-STAR. This research group was formed with the objective of “breaking language barriers around the world and implementing vocal communication between different languages.” It really is a perfect fit for the Olympics. Of course, there are other translation apps for the iPhone, but VoiceTra4U-M has the advantage of openness, meaning that a country could set up its own servers and use the app to translate its local language, which might give it an advantage when it comes to attracting tourists. Like all machine translation technology, VoiceTra4U-M is not perfect and does have some drawbacks. For one thing, the actual translating takes place on remote servers, which implies that you do need to have a data connection available to use it. And depending on your carrier, the fees for that data could add up quickly. Then, there’s the fact that the conversation will inevitably be full of awkward pauses as the data gets beamed to those servers, translated and sent back. That’s not to knock the potential usefulness of this app for travelers, though. Oftentimes as a tourist, all you need is to be able to accurately ask a simple question like “Where is the bathroom?” and then understand the answer.